500 Ketogenic Recipes – Hundreds of Easy & Delicious Recipes for Losing Weight, Improving Your Health & Staying in the Ketogenic Zone. Get ready to rethink everything you thought you knew about healthy eating! Learning to get lean through fats is a process–we have to re-think so much of what we’ve been told for so many years! 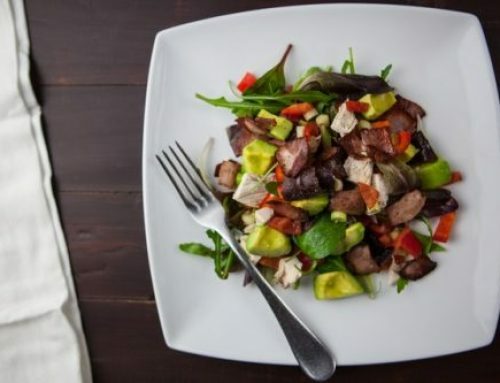 Ketogenic eating is not new but it is making its resurgence since it first became known as the Atkins Diet. Dr. Atkins took the science on eating fats to lose weight and gave it his own name. Many renounced the diet but most everyone lost weight on it—the problem was, when they went back to eating carbohydrates, they put the weight back on. Ketogenics is not a diet—it is a way of eating—a lifestyle—that puts the importance of burning healthy fat for fuel over the USDA Food Pyramid—which I always said was created by General Mills—who else would want us eating so many cereals, breads and grains?! And then they call them “healthy” grains and most grains simply are not—especially not in the quantities that Americans devour them. If you want to learn more about Ketogenic eating, Dana Carpender has a new cookbook, 500 Ketogenic Recipes. She not only writes an excellent cookbook but she also provides a clear, concise and understandable description of the Ketogenic science in Chapter 1. Written in layman’s vocabulary, she explains what ketones are and how they work. From the facts and fiction to the healthy advantages of the lifestyle–aside from weight loss since that is only an added benefit, Dana explains all aspects of the reasoning behind Ketogenics as well as the ingredients she recommends. The cookbook is fun, down to earth and easy to follow, but wow, would some photos make it a lot more interesting to browse! I love it when she says real things about cauliflower, like “whack it into chunks.” The best thing about this book, besides its vast spectrum of recipes, from Braised Hog Jowl to Fauxtatoes is that she leaves plenty of room for substitutions and method of cooking, from microwave to stove top. I’m looking forward to trying some of the recipes I earmarked–but I’ve got to go shopping for nuts first–almonds and pecans coat many of her dishes! I so glad I love cheese, as that is another frequently used ingredient. Thanks for the creativity and inspiration Dana!